When you want something bad enough, you’re willing to endure almost anything to get it. But there’s a difference between enduing and embracing. If you “endure”, you’re setting yourself up for burnout. “Endure” means to tolerate, suffer, or cope with something. One can endure only so long. Those who succeed in the long run don’t merely endure the process. Rather, they embrace discomfort. They fall in love with the process. How can you fall in love with the agony of waking up early? With the burn of working out? With the grind of showing up every day? You have the OPPORTUNITY to wake early, the REWARD of a burning work out, and SATISFACTION in showing up every day. 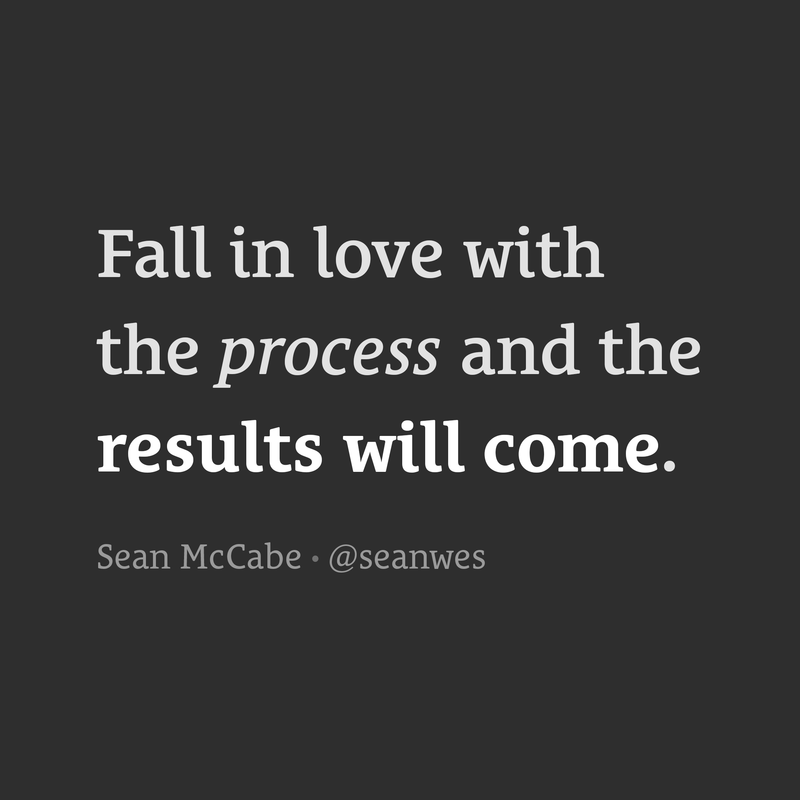 Change your perspective and fall in love with the process. One day, you’ll wake up to results that shock you.